You are here: Home / handmade decor / Under a $1 Wall Art and a Wall Art Hop! Under a $1 Wall Art and a Wall Art Hop! Hi there. It’s time to decorate those blank walls! I’m excited to share this easy and super cheap (like a $1 cheap) tutorial today and 14 other bloggers are joining in on the fun. (Scroll to the bottom to see their amazing ideas!!) So no more excuses. It’s time to have pretty walls! 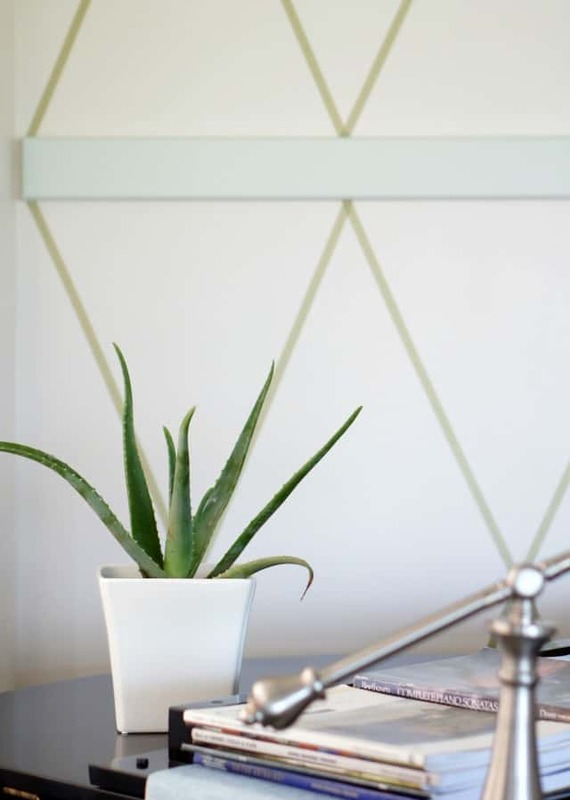 All you need for this quick DIY is washi tape, scissors, a ruler, and a box cutter. The first step is to mark where you want your triangles placed. Start from the center of the wall for even placement. (I also measured the width and height and drew a little diagram of the triangles beforehand.) Make a mark for the top and bottom points of the triangle. Here’s the blank-boring wall before. Now it has a fun punch of color and pattern. Love it! Choosing a small area for this pattern really made this project quick and easy. It delivers a strong statement for spending a buckaroo and about 15 minutes. Couldn’t all projects be this easy? 6. Vintage, Paint and more …. The fun isn’t over yet! We want to see what you do (did) with your space. 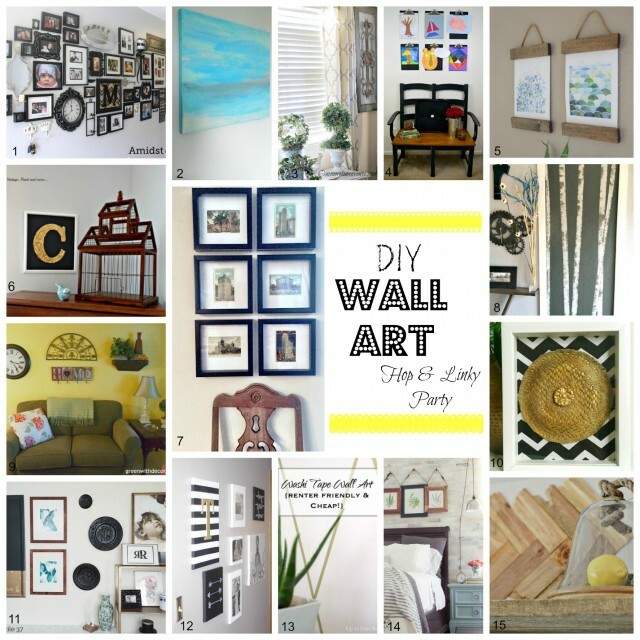 Link up your wall art ideas and projects so we can share with our readers. 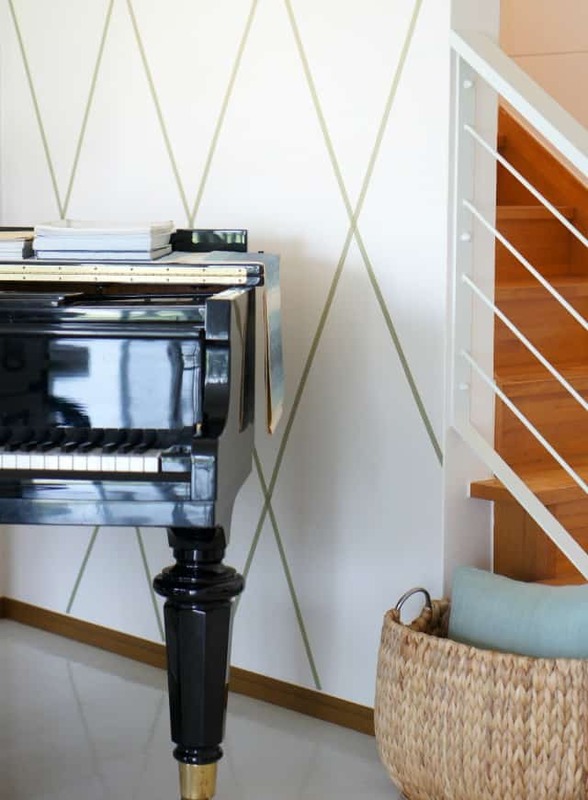 For more wall ideas from Up to Date Interiors, click here, here, and here. I love this! Cheap and easy is my favorite! We have textured plaster walls so I am not sure how this will look on my walls, but I am willing to try it for a dollar! I think it will be the perfect accent in our foyer! Hi, Kathy ~ I LOVE this project! 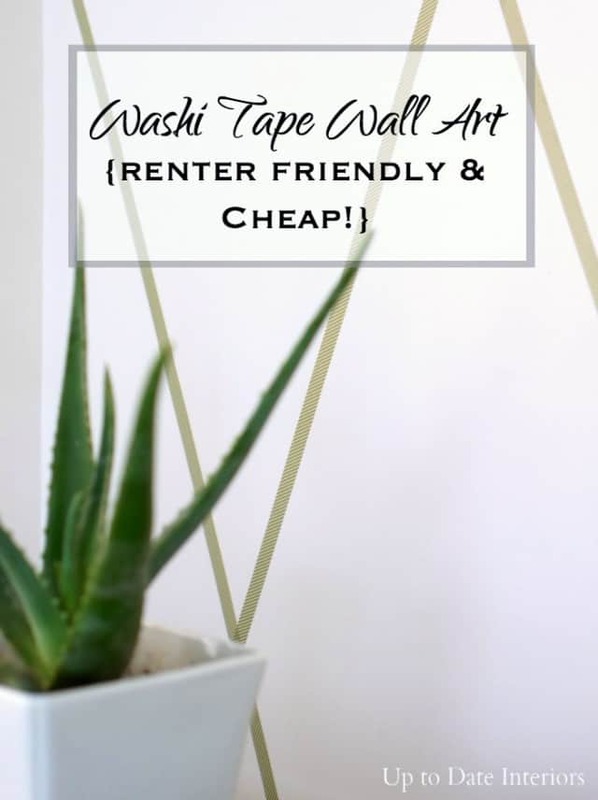 I use washi tape all of the time but never thought of making wall art out of it! I’m adding this to my list of projects for the next couple of weeks! I can’t wait to try this out! Thanks for sharing and have a great day! lol Cute and clumsy I guess! Thanks for the sweet comment. I love what a huge impact this little project had. Wish more were like it! This is absolutely stunning! I love it! I’m also super jealous of your grand piano! 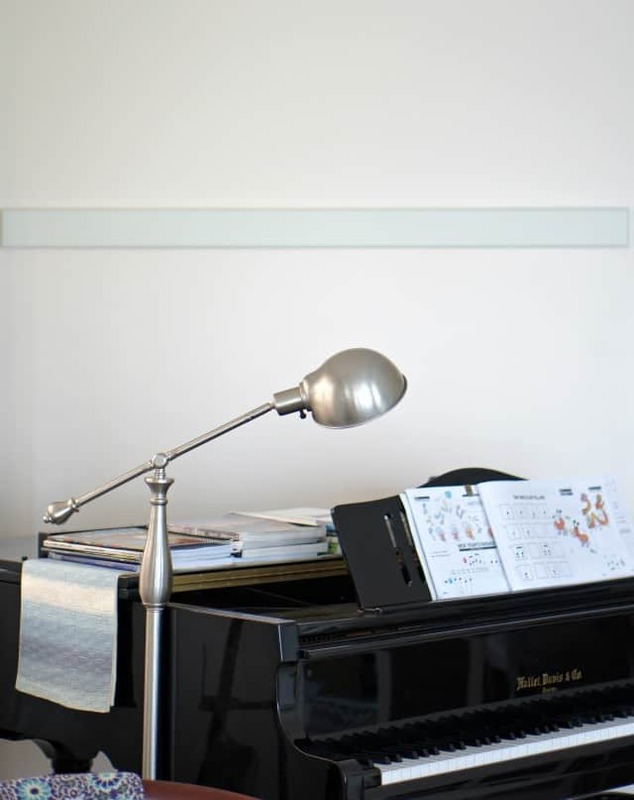 It’s a piano teacher’s dream! 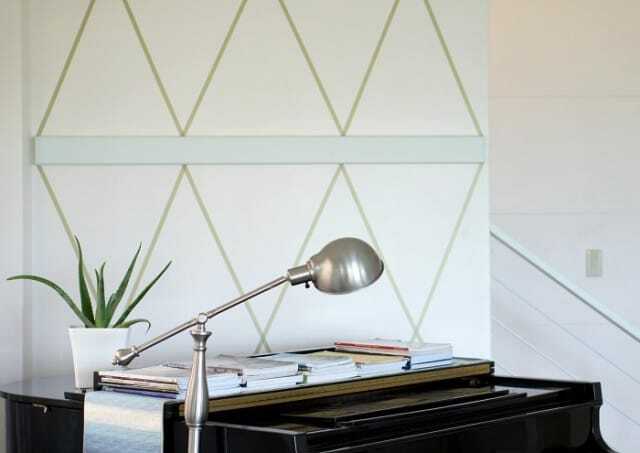 The accent wall is beautiful! 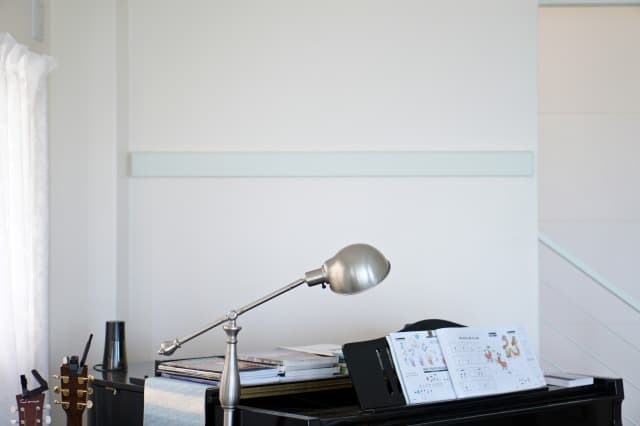 Are you a piano teacher too? I told my husband a piano comes before a dining room table when we got married. 🙂 It’s been in four different houses now. This so so awesome, such a simple thing that makes a huge impact! Seriously? This is amazing! What a brilliant idea. 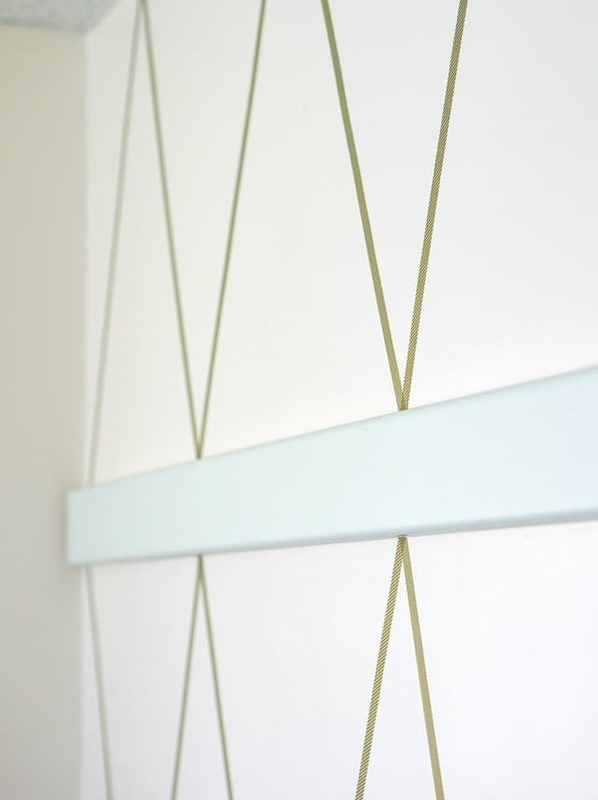 It made such a difference on your walls! I might have to do this in my daughter’s play room!!!! That’s a cute idea! There are so many great colors and patterns of washi tape out there. What a wonderful way to make a boring wall pop! Love that it easily removed also. Pinning this. Thanks Cathy!! I’m going to have to do it again in our next home. Ugh… military moves. This is so cool! I like the scale you created it on…it is not small to where it looks busy, it is perfect. thanks girl for sharing! Ah! Thanks Jessica. I’m really happy with the way it turned out. Simply amazing! I love this!! It’s like getting the patterns and color of wallpaper without having to put up actually wallpaper. Love it, thanks for sharing. Yeppers or people who change things every few months like me. lol Thanks for the sweet comment Stephanie. Such a clever idea! 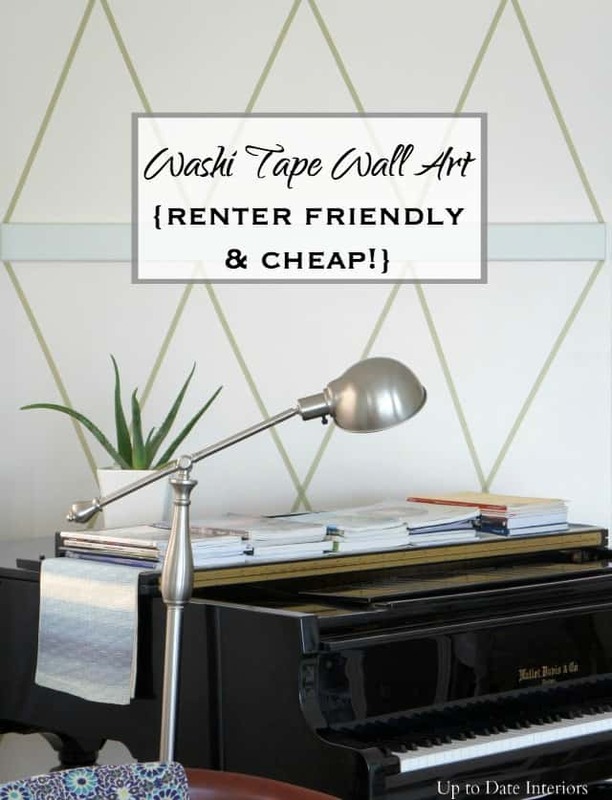 And even better that it’s just $1 and takes 15 minutes – my kind of project! I´m in love with your blog! and your logo, and your tips and well pretty much everything. Keep up the great work!! Looks great! Another fantastic décor idea for people living in temporary housing. 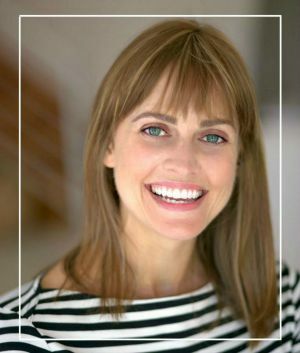 You rock Kathy, and I read your newsletter, congrats on the Better Homes & Gardens feature!